Weed control, vegetable trellis options, watering guidelines & more! 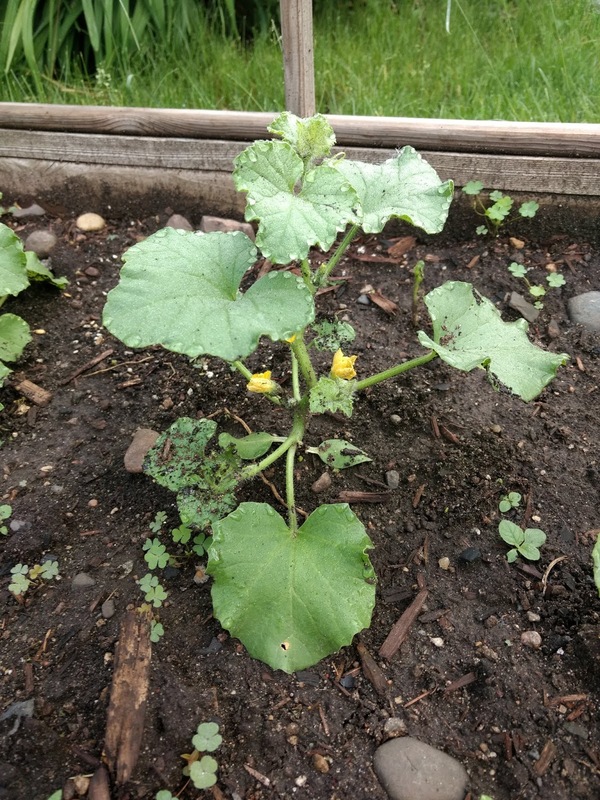 Cantelope beginning to bloom on May 30, 2018. June is an exciting month for vegetable gardeners. With many plants in the ground, this is when we enjoy watching them shoot up in size and give rise to blooms that will produce delicious vegetables. Gardeners who have not yet planted their warm-season crops (like tomatoes, peppers, and melons) still have a couple of weeks to get them in. In order to harvest most warm-season crops before the first fall frost, it is a good idea to finish planting them by mid- to late-June. Within this time frame, you can determine your precise planting deadline for a specific variety. First, find the Days to Maturity on the packet or by contacting the supplier. Then, count back that number from the typical first frost day for your region. In the Twin Cities, the first fall frost typically occurs between October 1 and 15. More information on frost dates in Minnesota can be found here, at the Minnesota Department of Natural Resources website. Gardeners can continue succession plantings into June, but the question then is: When should it stop? The final planting date in a succession depends on 1) How long the crop takes to mature, and 2) How many weeks you want to be harvesting that crop later on. Make sure the last planting is done in time for the crop to mature before the fall. Because of our late winter this year, gardeners did not have much time to get in an early planting of cole crops! Don’t worry, though. Fans of broccoli, cauliflower, and brussels sprouts can plant them in June in order to harvest in the fall. June is a great time to make trellises for climbing vegetables. Crops like cucumbers, peas, and pole beans love to climb and will produce best when there is something for them to grow up onto. 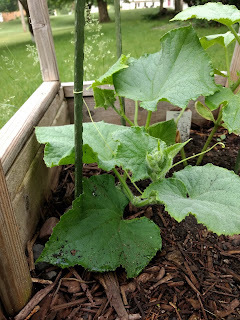 Some types of melons and pumpkins can be trellised, too! A plethora of trellis options will work, anything from straight sticks to colorful archways. Gardeners can be creative and have fun constructing a trellis that fits their style while supporting their crops. Trellis materials should be sturdy and tall enough to support the plants as they grow taller and heavier through the season. We have had a lot of rain in the past few days in parts of Minnesota, and the weeds have taken advantage of that! 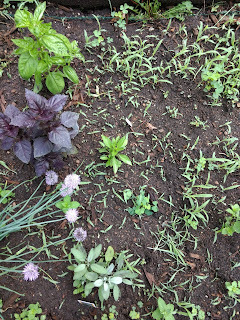 June is a critically important time to keep weeds under control in the vegetable garden. The first few weeks of a vegetable plant’s growth are deemed the “critical period” for weed control. This means that the weeds present during this period will have the biggest effect on how well the vegetable plants grow and produce this season, and should therefore be managed diligently. Keep your plants watered, but not too much! We have dry days and wet days ahead, so it is important to think about how much to water and when. The morning is a good time to water, because it allows the leaves to dry out afterward, reducing the chance of moisture-loving diseases. Over-watering is a common mistake in vegetable gardens. Vegetables should be watered regularly, but that does not mean that the soil should always be wet. Overly-watered soil can foster diseases and insect pests, and impact plant health and productivity. Decide whether you need to water by feeling the top few inches of the soil. Once plants are established and growing rapidly, water if the top 4 inches of the soil are dry. 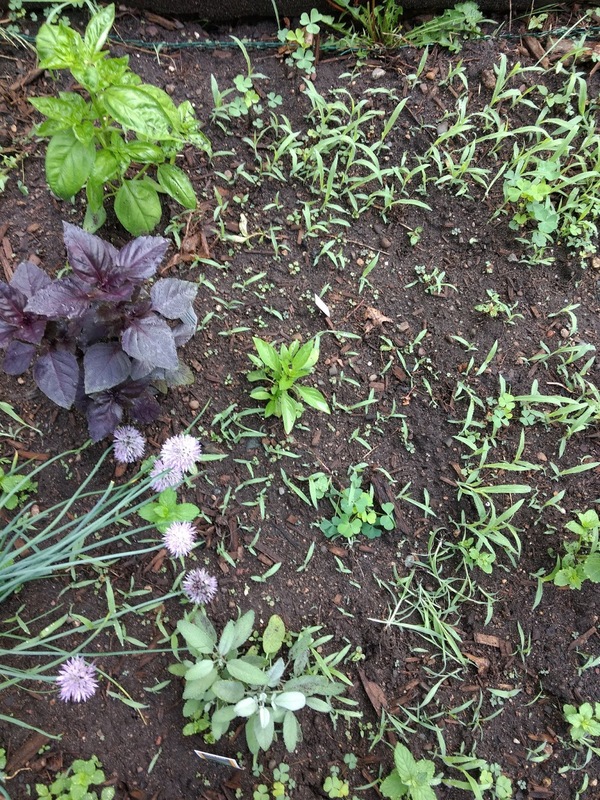 For newly sewn, shallow seeds like lettuce or carrots, water frequently in order to keep the surface of the soil moist and encourage seeds to germinate. The soil is warm and many plants are in the ground, making this a great time to apply mulch around vegetables. Plant-based mulches like straw and grass clippings provide a great barrier to weeds, and they help the soil hold in moisture during dry summer days.